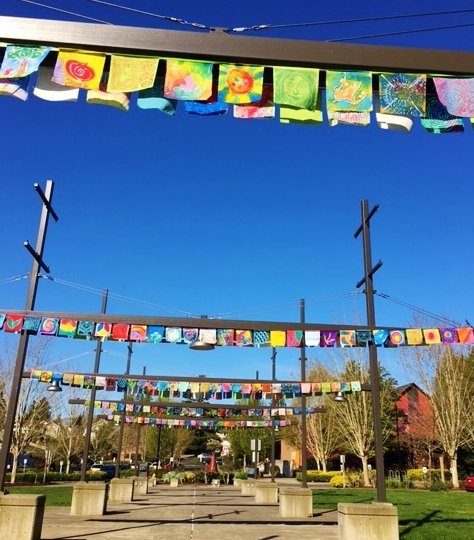 If you’re out and about the next few days, or at the Farmer’s Market next weekend, check out Flags for Hope hanging in the Farmer’s Market area on the green between City Hall and BPA. Over 140 participated in making these flags, some block print and some batik style. As Deborah Milton, a local artist who headed up the project, described, this represents an incredible outpouring of energy, beautiful community building and inspired creativity for young and old alike. 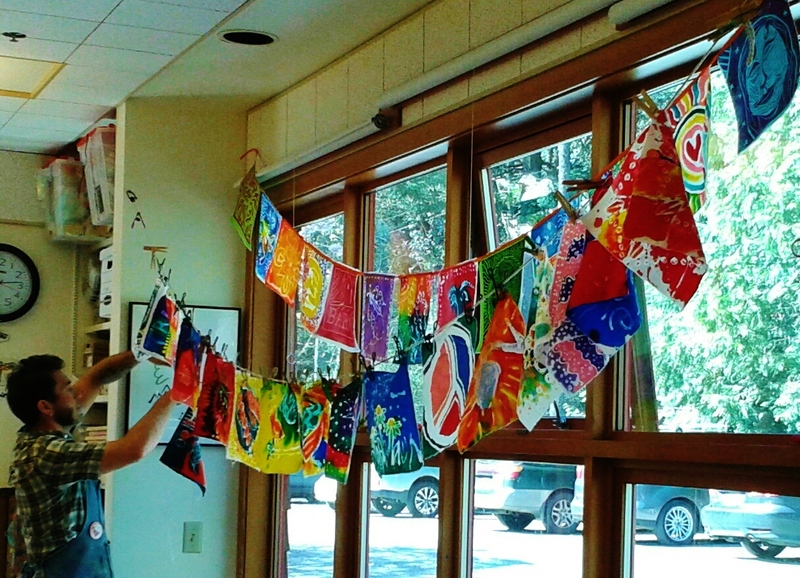 These flags represent our prayers and hope for a kinder and gentler future for species on this planet, and serve as a reminder of the work we need to do to make that happen. Thank you so much to BARN and Willows for supporting this effort.